With San Diego’s spring officially in full swing, we look forward to new beginnings around the “Jewel of San Diego.” Friends of Balboa Park, a nonprofit that champions the legacy and beauty of the park, is stewarding a number of exclusive opportunities for the community to enhance Balboa Park throughout the coming weeks. Friends sponsors the seasonal floral displays in Balboa Park’s iconic Botanical Building, made possible by donor dedications for just $25 each. Easter lilies will be on display from early April to mid-May, so be sure to stop by and celebrate one of the region’s most festive seasonal displays! While you are at the Botanical Building visiting the Easter lily display, be sure to check out the Victorian lilies coming in late April, the first time this lily varietal will be introduced into the historical Lily Pond. This park enhancement was made possible in part by the Friends’ Sandra B. Phelps Wilson Horticulture Fund and in partnership with the city of San Diego’s Parks & Recreation Department. Friends was also responsible for the rehabilitation of the Lily Pond when it was vandalized in 2012, and we are happy to be part of yet another chapter of the pond. Celebrate a life moment, family, or friend with a dedicated tree in Balboa Park. In celebration of National Arbor Day, a special grove of trees is planted by Friends of Balboa Park with your support, expanding Balboa Park’s unique urban tree canopy. Learn more about the event and tree dedications at friendsofbalboapark.org/arbor-day. Friends of Balboa Park has undertaken numerous projects around Balboa Park, but our acquisition of the Balboa Park Carousel has been by far one of the organization’s most consequential. Phase one of fundraising to purchase the carousel is officially complete, with phase two underway for restorations and site enhancements. Please consider a contribution of any size as we steer toward our goal! Friends is celebrating our 20th anniversary this year, and is commemorating this milestone by launching a new membership program that rewards supporters and encourages even more people to join our efforts to make a meaningful difference in Balboa Park. Join online at friendsofbalboapark.org/membership. 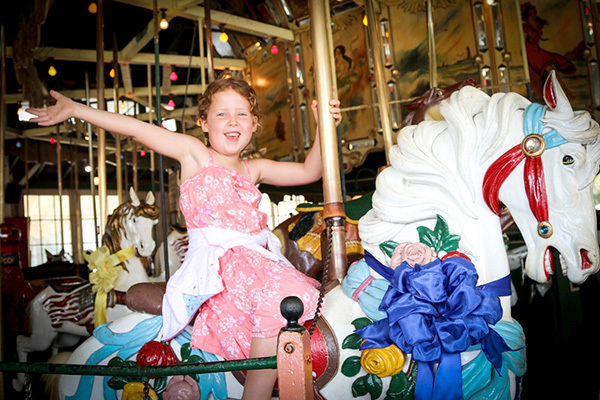 For more information on Friends’ events and park improvement projects, or to support the Balboa Park Carousel, call 619-232-2282 or visit friendsofbalboapark.org. — Friends of Balboa Park is a nonprofit affinity organization that champions and enhances the park by connecting the philanthropic community to Balboa Park. The group has spearheaded major capital improvement initiatives throughout Balboa Park, including upgraded carillon speakers in the California Tower, restoration of the historic Cabrillo Bridge gate houses and Lily Pond, information kiosks, Adopt-A-Plot program, dedicated benches and trees, operation of the historic Balboa Park Carousel, and other programs that facilitate the community’s direct involvement in the enhancement of Balboa Park. — John Bolthouse is the executive director of Friends of Balboa Park. For more information, visit www.FriendsOfBalboaPark.org.